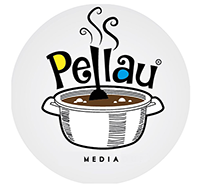 Pellau Advertising Solutions was founded on the premise of “helping businesses reach their customers online”. We strive to always be innovative and flexible while meeting our clients’ needs. The business was founded at the dawn of the social media revolution. Therefore, our foundation is laid upon web 2.0 and all that comes with it. Websites built by Pellau Advertising are done via “Modules”. This means that websites can be upgraded at any time by means of said “modules”. Features can be added/subtracted as needed by the client at any time. Rather than sell “packages” which may include features the client may never need, we believe the “modular” approach would be alot more cost effective for our clients. Our mission at Pellau is to transition businesses into the digital era. We at Pellau want your business to be online and as such, we offer high quality services at competitive prices. Web development doesn’t have to cost an arm and a leg. As mentioned above, we want your business to be online! Where building a professional website would usually cost well over $20,000; Pellau offers this service at a price you can afford. In other words, we work with exactly what your budget can afford. You name your own price in most cases. Through our Pellau Global Trust initiative, we are able to subsidize up to 95% of the costs involved for those who qualify. Ask us how! What’s the catch? 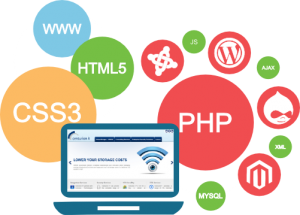 Websites are which are subsidized must be hosting by us. We offer competitive pricing with all the features of a professional host. Features include malware protection and firewall to increase the security of your website! In keeping with our mission to help your business, the ongoing website maintenance, hosting and domain registration of $300TTD Monthly is also flexible to suit your budget. Not every payment solution is created equally. Some such as PayPal allow for easy set up and allow businesses to sell right away. Others require a lot more from the client. Based on the business model of our client, a payment solution will be recommended. Allied Wallet – Upfront fees and a lot of red tape, however fees are negotiable and personal account managers are assigned to each client. First Atlantic Commerce – If your local bank supports this, then your funds can be deposited into your business account at the end of every business day! WiPay – A local payment processor. Paywise – A local offline payment processor. Please note fees vary depending on work needed to be done to set up each. PayPal can be easily set up by the client in just a few minutes, while other solutions may require weeks worth of correspondence to get off the ground. We realise that some businesses simply don’t have the time to get professional photography done for products. Pellau is here to facilitate getting each client’s business off the ground. Photography can be done either in store, or at a studio. Time is money, and we understand this. Therefore, rather than a client taking time out from running their business to learn the software and upload each product, one of our experts can take over this job. Your site is up and running. Customers are visiting, signing up, making purchases etc. Now what? A mailing list can bring these customers back to your website and keep them purchasing. We are able to create newsletters, send mass emails out during sale promotions or just about anything which may come up during the product cycle.